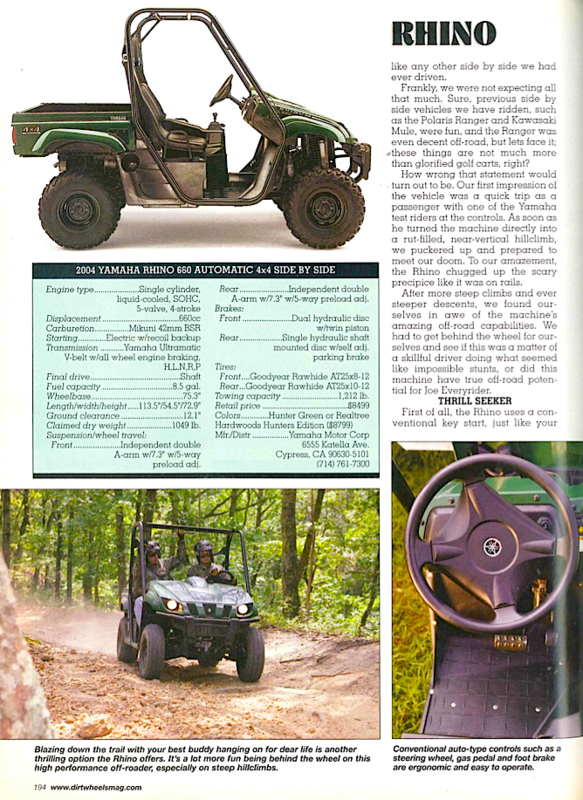 The Kawasaki Mules, Polaris Rangers and John Deere Gators were tame, utility minded machines designed to help get chores done around the farm. 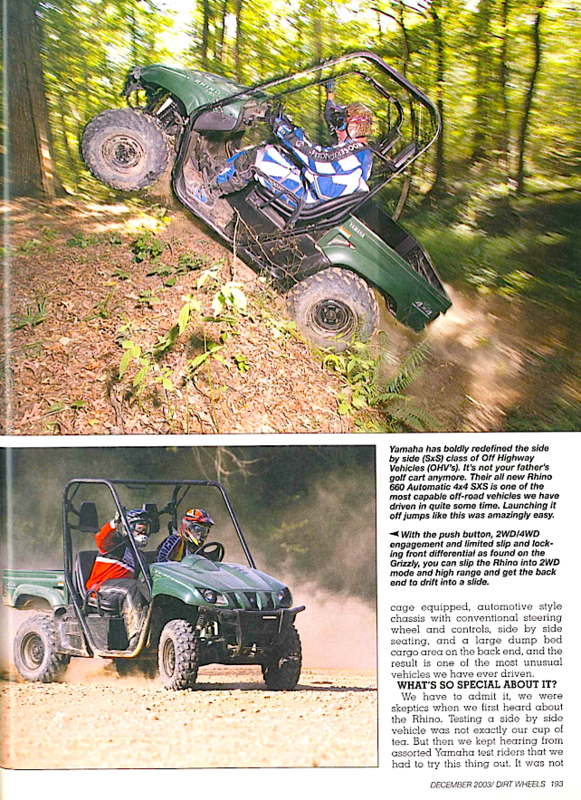 Yamaha was the first to say, “Hey, why don’t we make one of those steering wheel machines with a more sporty attitude and able to get down the trail with the speed of a quad.” After building it and testing it, they liked it and decided to sell it. 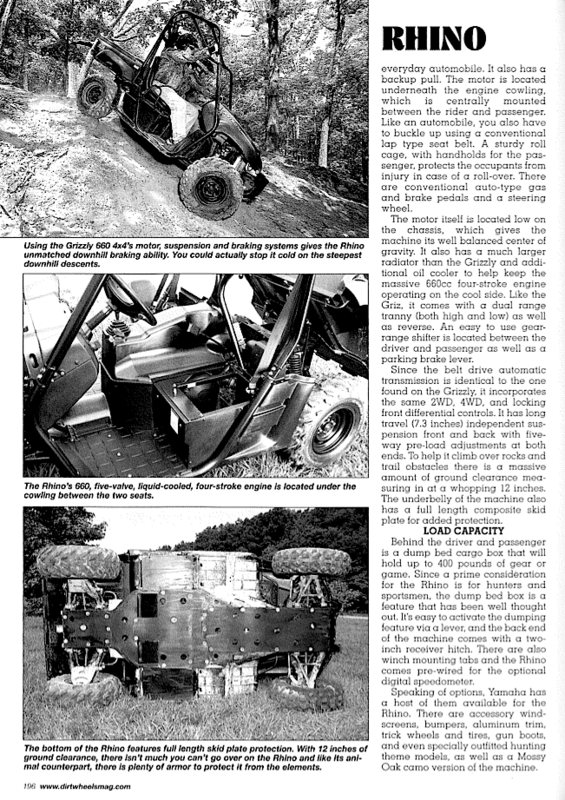 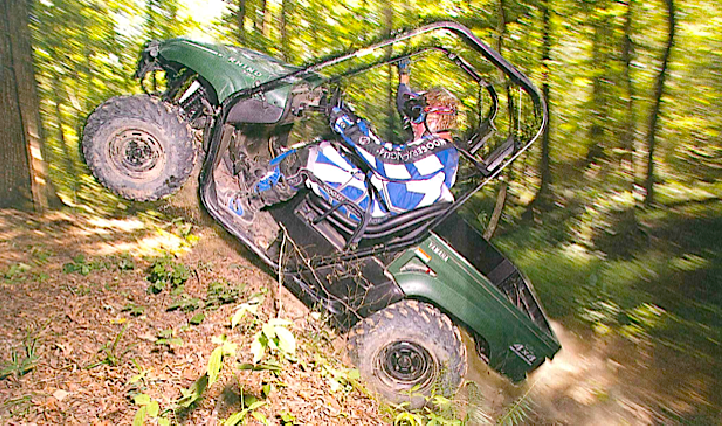 For 2004 Yamaha added the Rhino to its line up and the off-road world was rather surprised. 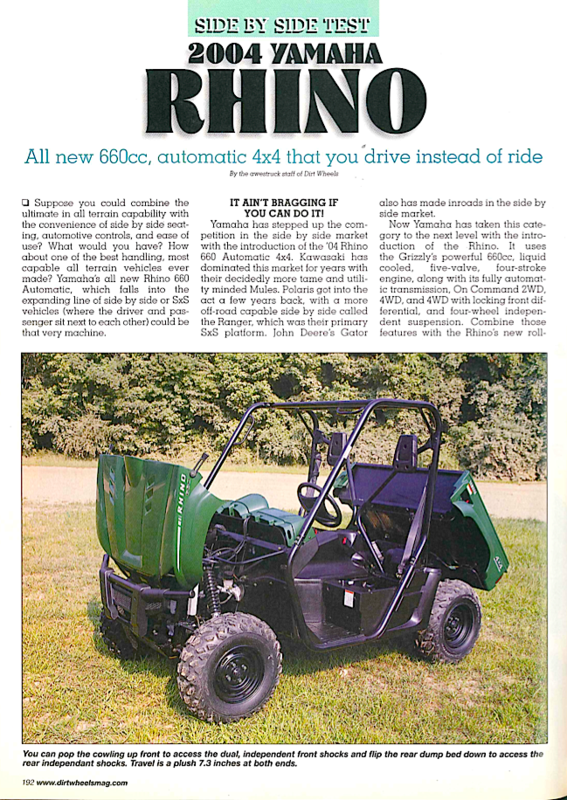 What was the reaction of the Dirt Wheels crew when they first got hold of a new Rhino to test? 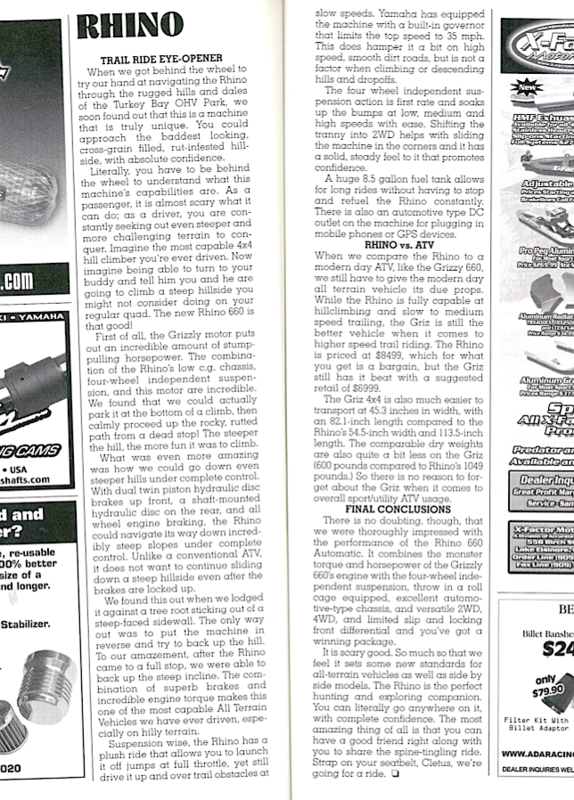 Well, you can find out below by reading this “Blast From The Past” from the December 2003 issue of Dirt Wheels.